Exercising your brain can have amazing an impact. This is especially true when you are advancing in years. 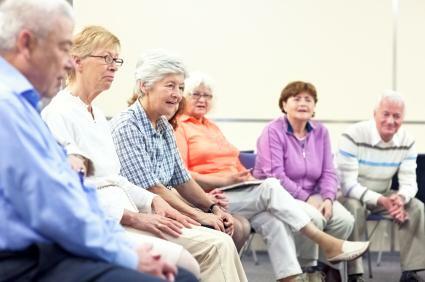 Trivia for seniors in nursing homes can give their brain a work out and keep them sharp. Try easy trivia questions for seniors with dementia to help keep those neural pathways moving. Trivial Pursuit Master Edition: This popular board game includes 3,000 questions that will challenge the mind. Questions cover an array of subjects, so the game will appeal to almost anyone. Trivial Pursuit Baby Boomer Edition: This expansion pack is designed for those age 50 and up and can be used with the Trivial Pursuit Master Edition. Reminiscing Board Game: This trivia game is designed to act as a trip down memory lane, letting participants remember past events, fads, clothing, music, TV, radio, and movies. Bible Trivia Game: Seniors who enjoy participating in regular Bible study will be thrilled to play this trivia game with over 700 questions relating to scripture, inspirational messages, and prominent biblical figures. In addition, this family-friendly game can easily be played with visiting relatives. AARP Trivia Games and Quizzes: AARP, the leading non-profit organization for senior citizens, offers a wide range of online quizzes covering topics such as entertainment, food, health, money, politics, technology, and travel. Lumosity: This popular site asks participants to get a baseline score on three games, then compare the results to others of the same age. The goal is to improve your ranking by building five core cognitive abilities. Suddenly Senior: This fun site is filled with trivia quizzes and nostalgia. You can find trivia games such as Welcome Back to the '50s, Stars In Your Eyes Trivia Quiz, and Maggie Von Ostrand's Movie Quiz. Fun Trivia: This site is jam-packed with trivia, entertainment games, and more. New games and quizzes are added daily, so you are sure to find a great mix of trivia to challenge your mind. The "Who Am I?" historical figures game is particularly interesting for seniors. Senior Trivia Questions: Download a challenging trivia quiz with questions from the 1950s, 1960s, and 1970s. Printable Bible Trivia Questions: Use this printable trivia game as an introductory activity at a senior Bible study meeting. General Knowledge Quiz: This general trivia quiz covers topics relating to science, government, art, and more. Christmas Trivia Game: Get excited for the holidays with a fun printable Christmas trivia game. Nostalgic Trivia for Seniors: This book is filled with trivia quizzes with questions related to the 1930s, 1940s, and 1950s. Trivia Challenge for Seniors: This book contains a mix of questions on past presidents, movies, history, and more. TMC Classic Movie Trivia: Perfect for senior film buffs, this fascinating trivia book covers key genres, behind-the-scenes facts, quotes, and more from classic films that seniors will remember from their youth. The Old-Time Television Trivia Book: Fans of shows such as The Texaco Star Theatre, Your Show of Shows, and The Honeymooners will appreciate this trivia book filled with questions about their favorite television shows from the 1930s, 1940s, and 1950s. Trivia games require memory and stimulate the pathways through the cerebral cortex required to link the question to the image or to the answer. Studies confirm that exercising the brain does offer benefits for the elderly. For example, a study published by Dr. Robert Wilson and a team at Rush University Medical Center tracked almost 1,100 people with an average age of 80, for nearly five years, and found that playing trivia games and other forms of board games helped stave off mental decline by promoting activity changes in the temporal and hippocampus regions of the brain. These are the areas where working memory functions, which means that playing trivia games can be an easy way to stave off the symptoms of dementia. Trivia games are a great way for the elderly to exercise their minds. Questions about various subjects will get their minds thinking and give them a way to stimulate parts of the brain that otherwise may not be used. These types of games are also the perfect way to spend the afternoon while enjoying the company of others.